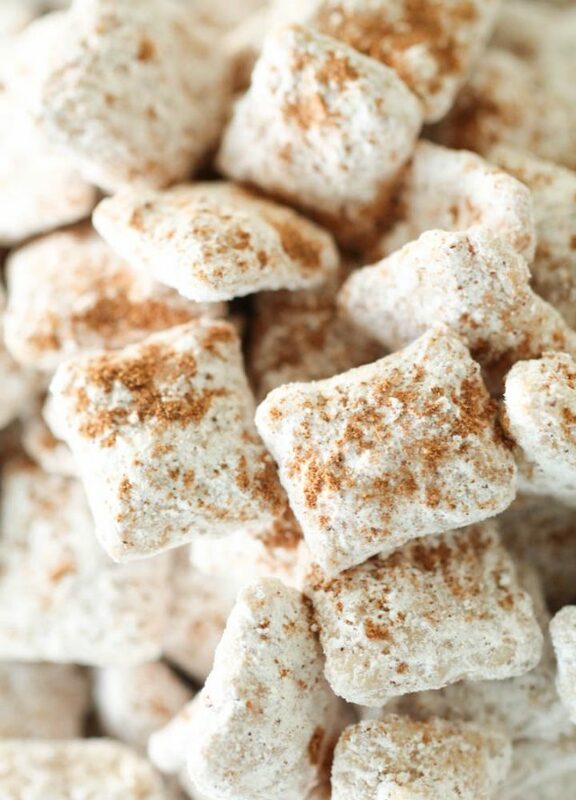 These Pumpkin Spice Muddy Buddies are a fun twist on traditional "puppy chow" using white chocolate, powdered sugar, cinnamon, nutmeg and pumpkin pie spice. 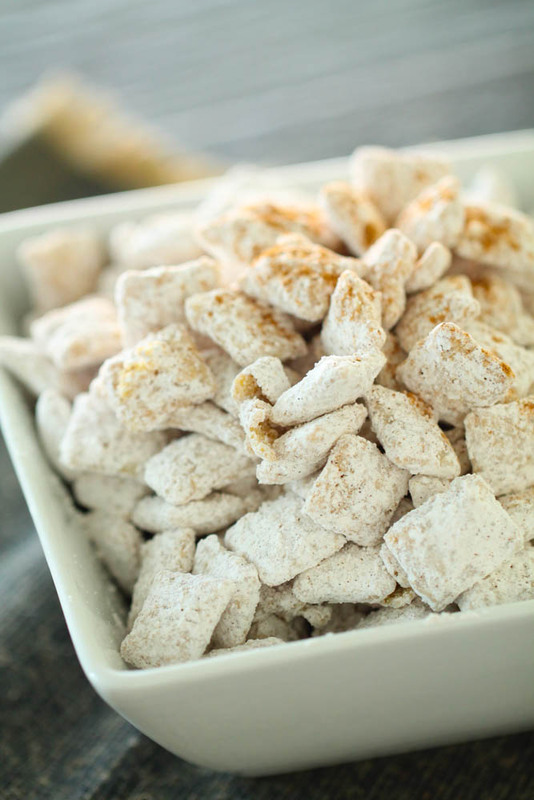 Whether for Halloween or a tasty fall treat, these muddy buddies are sure to be a hit. 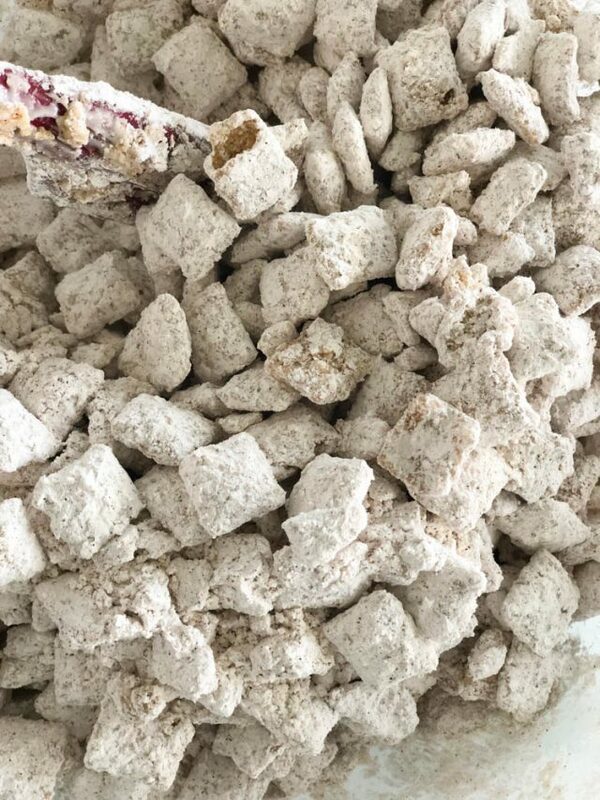 I’ve heard Muddy Buddies called by many different names including: puppy chow, monkey munch, monkey buddies, Chex mix and the list goes on and on! 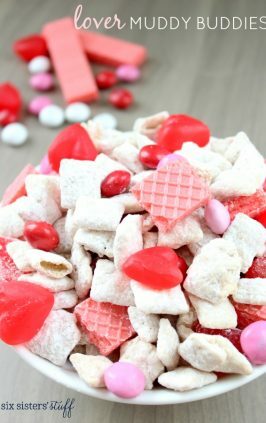 Muddy Buddies are any form of Chex Cereal covered in some sort of chocolate, powdered sugar and other flavors and often times have candy and other toppings mixed in. 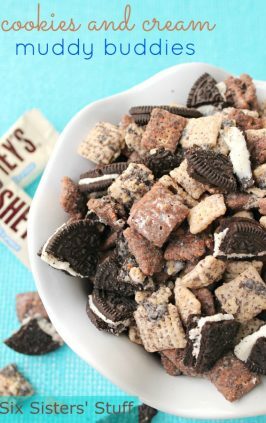 No matter the name, Muddy Buddies are a perfect snack for movie nights, parties or a day at the park or beach! Ok, who are we kidding, they are perfect to eat anywhere or everywhere. I love how easy it is to make these Pumpkin Spice Muddy Buddies. I was able to whip up a batch of these for my kids in a matter of minutes, and they were gone just as quickly. 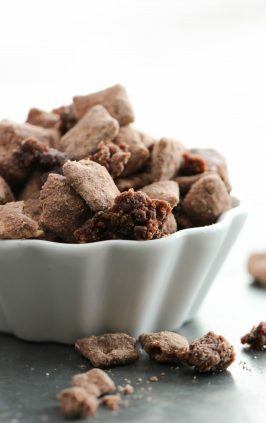 Start by measuring out 6 cups of Cinnamon Chex Cereal and pouring it into a large mixing bowl. In a separate mixing bowl, combine pumpkin pie spice, cinnamon, nutmeg and powdered sugar. In a microwave-safe bowl, combine 2 cups of white chocolate chips with a teaspoon of vegetable oil. Microwave on high for 2 minutes, remove from the microwave and stir until the chocolate is smooth. 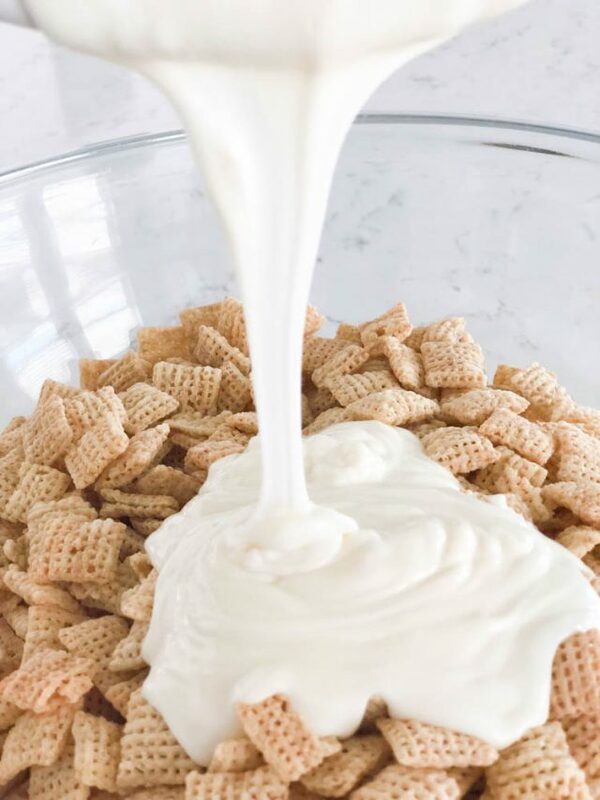 Pour the melted white chocolate over the Chex Cereal and gently fold until all of the cereal is evenly coated. 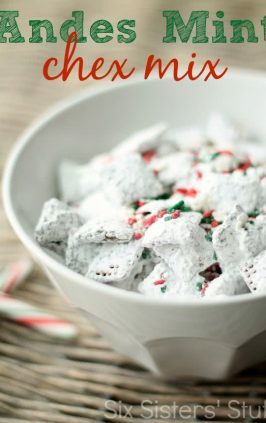 Pour the powdered sugar and spice mixture over the cereal and gently mix until all of the cereal is evenly coated. Sprinkle a little more pumpkin pie spice on top for garnish and serve. 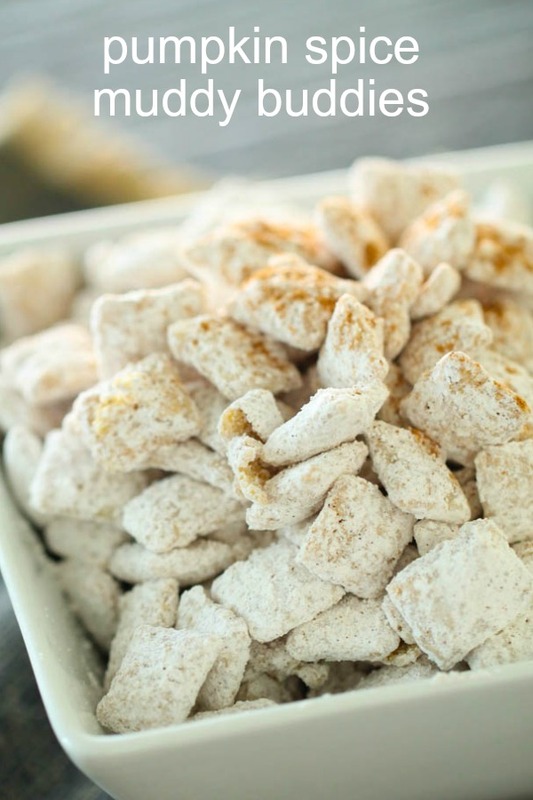 These Pumpkin Spice Muddy Buddies are a fun twist on traditional "puppy chow" using white chocolate, powdered sugar, cinnamon, nutmeg and pumpkin pie spice. 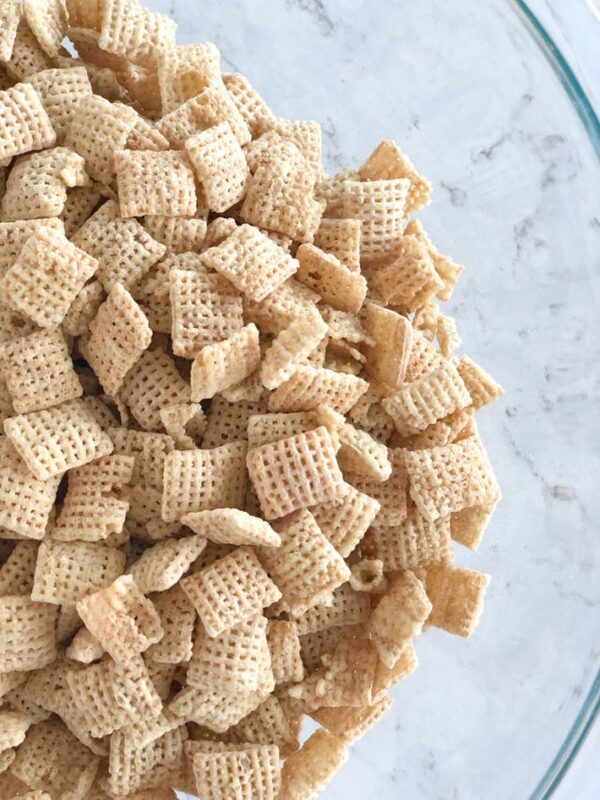 Pour Cinnamon Chex Cereal into a bowl and set aside. Melt white chocolate chips in a a microwave safe bowl on high for 2 minutes, stirring every 30 seconds until smooth. 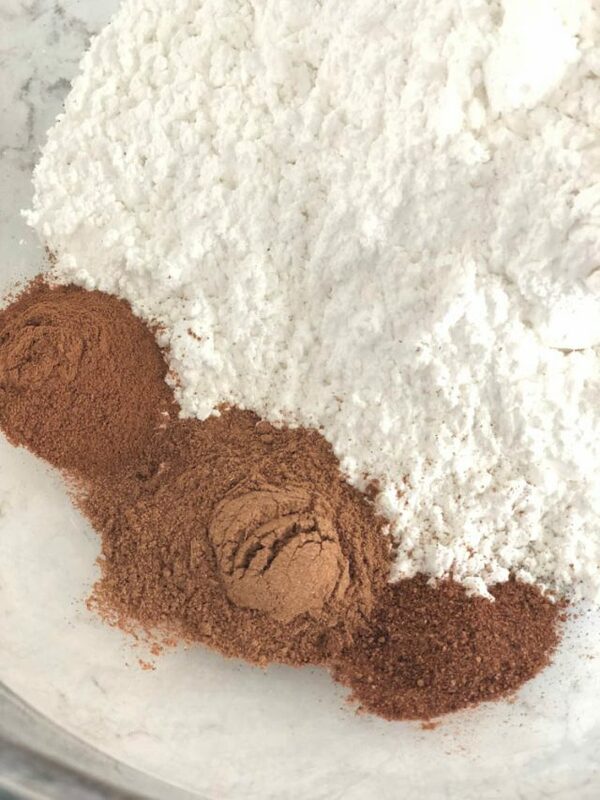 In a separate bowl, combine powdered sugar, pumpkin pie spice, cinnamon, and nutmeg until fully incorporated. Pour the melted white chocolate over the Cinnamon Chex, and fold until evenly coated. Pour the powdered sugar mixture over the cereal and gently fold until evenly coated. Sprinkle a little extra pumpkin pie spice on top before serving. If you love these Pumpkin Spice Muddy Buddies, try our Monster Much for a fun Halloween treat! Love this, it sounds delicious! 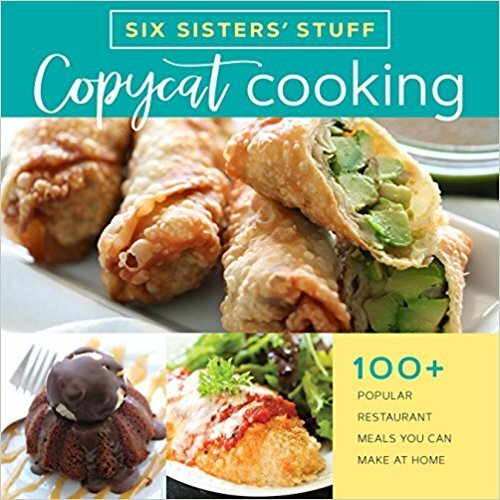 Do you think it would work with regular rice or corn Chex instead of cinnamon? Would I need to add extra cinnamon? 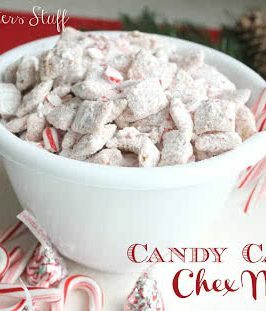 You could easily make this with rice chex or corn chex. Maybe increase the cinnamon by 1/2 teaspoon.